Pattern Description: Miniature wooden bucket with a metal handle. 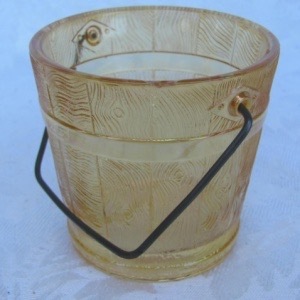 A novelty piece of glass shaped like an old wooden bucket with a wire handle, probably intended to be a match holder for a kerosene lamp. It is often identified as a toothpick.